A DRIVER HAS been awarded €4,000 in compensation after buying a ‘clocked’ car from a second hand dealer. 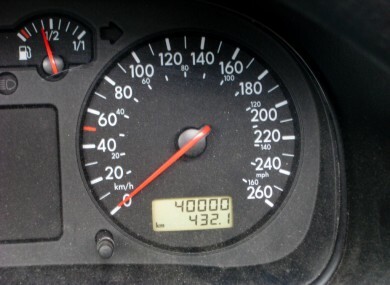 Oleksandr Tabachuk, who had been in business as Sasha Auto Sales on the Tuam Road in Galway, was found to have wound back the odometer of the car and also provided an NCT cert with the false mileage reading. He was fined €1,200 and ordered to pay the customer back the entire €4,000 cost of the car at Galway District Court, in a case brought by the National Consumer Agency. RTÉ News reports that Tabachuk had taken 15,000 miles off the car’s clock. The chief executive of the National Consumer Agency, Ann Fitzgerald, said the ruling was “very significant” and sends a message to traders. “The NCA takes the practice of clocking and the sale of clocked cars very seriously as it deceives consumers and can cause serious financial loss to them,” she said. Email “Driver refunded €4,000 in court over 'clocked' car”. Feedback on “Driver refunded €4,000 in court over 'clocked' car”.